Yesterday, I featured the books I’ve received recently for review. The books I feature today came from bookstores, sometimes at very good prices from a variety of genres: essays, mysteries, science, history and autobiography. They are not the only books waiting to be read around my house, but some of the next ones. But don’t hold me to this! Something more interesting may come up along the way. Like yesterday’s post, I’ve included a link in the title to the publisher’s webpage for the book. I’ll let you decide if and where you will buy them! The Givenness of Things, Marilynne Robinson. I love Robinson’s fiction and have appreciated the wide-ranging character of her essays. This is a collection from 2016 and includes a two-part conversation with President Barack Obama. The book was listed on Time’s Top 10 of 2016. The Bookshop on the Corner, Jenny Colgan. I enjoy books with plots that center around bookshops. This one is about a former librarian who moves to a small town, buys a van and turns it into a mobile bookshop, and changes life after life as a literary matchmaker. Robicheaux, James Lee Burke. A bookseller put me on to James Lee Burke and his detective character, Robicheaux. This is one of his more recent works, in which Robicheaux becomes a suspect in a murder he is investigating. The Second Kind of Impossible, Paul J. Steinhardt. This is a kind of scientific quest for a new form of matter by a theoretical physicist. I’m curious to see if he succeeded! Indianapolis, Lynn Vincent and Sara Vladic. This book has received a lot of attention, making the New York Times bestseller list. It recounts the sinking of the USS Indianapolis in the last month of World War II, the struggle for those who did not immediately die to survive (only 316 out of 1200 do), and the fight to exonerate Captain Charles McVay, who was wrongly court-martialed after the sinking. I Am Malala, Malala Yousafzai. This has been out a while, but I came by it recently. Violence against women is an issue I care deeply about, and I’m also interested in learning more about Pakistan. And I’m drawn by the story of this courageous woman. Presidents of War, Michael Beschloss. The author traces the leadership of American presidents throughout the nation’s history, in leading the nation into war and in coping with the pressures of war, successfully or not. The power entrusted to the American presidency to lead a nation into war is significant, particular in a nuclear era as we face choices about who will fill this office. No doubt, there may be some here you’ve heard about, or even read. I’d love to hear your thoughts on these books and look forward to sharing mine over the next month or so. There are so many good things out there to read, aren’t there? It has been about a month since I wrote about books on my review stack. Since them, I reviewed most of the previous stack with a few “in process.” Meanwhile, a number of new books have come in, and I wanted to offer you a preview of them. I have not read any of them yet, but wanted to let you know about them in case something here speaks to an interest of yours. I also am excited about all these works and happy to give them an early, and extra shout out. I am just listing the title and author with a link in the title to the publisher’s web page for the book. So here is the stack from top to bottom! The Power of Christian Contentment, Andrew M. Davis. This book reacquaints us with a Puritan work from 1643, The Rare Jewel of Christian Contentment by Jeremiah Burroughs, and draws insights to speak to our contemporary restlessness. None Greater: The Undomesticated Attributes of God, Matthew Barrett. The author argues that we have tried to domesticate God, something impossible to do when we consider the perfections of God. We may not be able to tame God, but the author contends that we may find him worthy of our worship. Saved by Grace Alone: Sermons on Ezekiel 36:16-36, D. Martyn Lloyd-Jones. I have always loved the expositions of D. Martyn Lloyd-Jones, former pastor of Westminster Chapel in London. He was renowned for taking a year or more to exposit a book. In this case we have fourteen messages on 21 verses in Ezekiel 36 on what seems a New Testament theme–saved by grace. Intriguing! The Great Awakening, Joseph Tracy. A reprint of an 1842 book on the Great Awakening of the 1740’s during the ministries of Whitefield and Edwards. I have found the history of American revivals fascinating, perhaps in my longing that God would favor us with another such season. In This World of Wonders, Nicholas Wolterstorff. This is a memoir by the Yale philosopher, Nicholas Wolterstorff, someone who has thought deeply about the intersection of philosophy, the Christian faith, and the world of higher education. He is on my list of “contemporary academic heroes” and so I look forward to this memoir! Embracing the Other: The Transformative Spirit of Love, Grace Ji-Sun Kim. Followers of this blog will recognize that I have reviewed a couple of Grace Ji-Sun Kim books. As an Asian-American woman, Kim explores a theology of gender and racial justice through the work of the Spirit who restores shalom to the world. Spiritual Rhythms for the Enneagram, Adele and Doug Calhoun, Clare and Scott Loughridge. Written by four certified Enneagram instructors, this book offers a number of exercises for each of the nine Enneagram types to lead to greater self-awareness and transformation in our relationships with God and others. I have friends who have worked with one or the other of these couples and greatly appreciate their wisdom. All of these are theologically-related books. I do read other things as well, and tomorrow, I’ll preview some of the non-theological books I’m looking forward to reading next — works in history, science, essays, and fiction. Nearly all of these are books I’ve purchased. I haven’t cultivated the same reviewing connections with these publishers, and not all the books are current releases. I usually have several books going at once and I mention some of these in my “Month in Reviews” post. I thought it might be fun to preview some of the books waiting to be read that are in my “review queue.” All of these have been sent to me by publishers for review. You don’t have to wait until my review to check these out! Modern Technology and the Human Future, Craig M. Gay. Downers Grove: IVP Academic, 2018. This explores how our technology shapes us, and the theological implications of current trends in technology. The Common Rule, Justin Whitmel Earley. Downers Grove: InterVarsity Press, 2019. Earley explores the power of habit, and developing a rule of life to sustain us in modern life. Relationomics, Dr. Randy Ross. Grand Rapids: Baker Books, 2019. Ross focuses on how organizations can develop cultures that promote healthy relationships. True You, Michelle DeRusha. Grand Rapids: Baker Books, 2019. Using the gardening metaphor of pruning, DeRusha shows how we may need to subtract to flourish. Becoming a Just Church, Adam L. Gustine. Downers Grove: InterVarsity Press/Praxis, 2019. Looks at what it means to pursue justice in congregational life. Basics for Believers, D. A. Carson. Grand Rapids: Baker Books, 2018. A re-packaging of a classic exposition of Philippians on essential disciplines for living the Christian life. The 21, Martin Mosebach. Walden, NY: Plough, 2019. We saw the images of the 21 Coptic Christians executed by ISIS. Mosebach tells their story and that of the Coptic community from which they came. Sinners and Saints, Derek Cooper. Grand Rapids: Kregel Academic, 2018. First of a four part series on church history, this portrays the highs and lows of early church history from the apostles to Augustine. New Creation, Rodney Clapp. Eugene, OR: Cascade Books, 2018. Clapp explores how our eschatology, our beliefs about the end, ought shape our life in the present. Under Pressure, Lisa Damour, Ph.D. New York: Ballantine Books, 2019. Why is there an epidemic rise in reports of stress and anxiety in girls? What are the steps parents and other adults can take to address this epidemic? Well that’s the stack. There are a number of others (especially fiction and history) that I’ve purchased and will weave in, but you can expect to see reviews on these in the next month or so. I look forward to telling you more about them! I’ve noticed a curious phenomenon. Every time I review a book related to the Apostle Paul, my view count goes up. What is it about Paul? At any rate, this was true with a book I reviewed this month, Paul Behaving Badly. As good as this book was, there were several that I would have loved to see more people look at including Dorothy Day’s memoir, The Long Loneliness and Deepening the Colors, a wonderful book about seeing our place in God’s story. Reading Your Life’s Story came at this same idea through the lens of spiritual mentoring. In recent months, I’ve read several narratives of LGBT persons. The most recent was Melissa Fisher’s Way of Hope, which features a church she characterizes as “neither condemning nor condoning.” Intriguing. A couple of the books I was really excited about were A Grander Story, and Matthew Levering’s Engaging the Doctrine of Creation, theological writing at its best. I reviewed a couple of thoughtful books about presence, one of which seems to flow well from the other: Life in God’s Presence leads to Faithful Presence. On other topics, I reviewed a book on public schools, a biography of Eleanor of Aquitaine and Walter Lord’s The Miracle of Dunkirk. So here are the books in the order they were reviewed. As always, the title links to the publisher page for the book, and at the end of the summary, you will find a link to the full review. What I’m reading: I’ve spent most of November reading Peter Matthiessen’s Shadow Country, a fictionalized rendering, or rather three renderings, of the life of Edgar “Bloody” Watson, a historical figure in South Florida. It is a fascinating exploration of who was Watson, really. I’m about midway through a biography of Elon Musk, the entrepreneur who parlayed buy-out funds from the startup of PayPal to launch both SpaceX and Tesla. Andrew LePeau’s Mark Through Old Testament Eyes not only helps us see the Old Testament background in just about every verse of Mark, but also begin to see how Mark has structured his narrative. Living Wisely with the Church Fathers is a book I’ve just begun and explores the wisdom of the Fathers for how we might both live, and die, well as followers of Christ. Other books I will be starting soon include one of the Ice Bucket Challenge, whose founder died yesterday of ALS, and Choosing Donald Trump by Stephen Mansfield, an exploration of why Christian conservatives supported him. If you want to see these reviews when they come out without risking the possibility that they won’t show up in your Facebook or Twitter feeds, consider following the blog, either via your WordPress account if you have one, or via email by clicking the “follow” button. I don’t want to take much time discussing the sixteen books you will read here. Evicted and Just Mercy both touch on social justice themes. Two of the books I reviewed, Daring Democracy and Forbearance, left me unsettled because I felt the bias of the authors undermined much of what was good in these books. A couple of the shorter books were absolute devotional gems, particularly J.I. Packer’s Finishing our Course with Joy and Charlie Dawes’s Simple Prayer. Renegade, a graphic biography on the life of Martin Luther was a refreshing look at the reformer’s life. I was struck that my last two books, Just Mercy and Unceasing Kindness, although very different books, share a common tie in the character of a God who is all these things. Enough discussion, here are my summaries. I hope you will take some time to read some of the full reviews, and find something useful or enjoyable for your own reading this fall. Best Book of the Month: This is tough because several of the books here easily deserve this in my mind (especially Evicted and Just Mercy), but I’m going to give the nod to As Kingfishers Catch Fire, by Eugene Peterson. The book is a fitting valedictory for the ministry of Peterson, consisting of forty-nine of his sermons across the span of his ministry grouped by seven key biblical figures. Peterson’s focus is on living the congruent life, and I daresay it may be argued that this thought undergirds all of his writing. Peterson fans will love this, and for others, this is a great way to discover the writing of this skillful shepherd of God’s people. “Although we agree with the importance of practicing virtue in the academic calling, we contend that any approach to integrating virtue must not prioritize teaching over scholarship or service but should instead prioritize the role of the triune God and God’s theological story in defining, directing, and empowering the virtues that sustain excellence in these practices and help promote flourishing academic communities. We doubt broadly defined virtues on which we all agree can sufficiently reorient the academic vocation. After all, professors need a compelling identity and story that will motivate them to acquire certain virtues. Instead, Christians must think about virtues such as faith, hope, and love as well as other fruits of the Spirit, in the light of a theological narrative and realities that usually do not enter standard secular reasoning” (pp. 245-246). That you follow this blog suggests you are one who cares about his or her reading. I hope you will find something here of help in your own journey! I’m not sure I know how to summarize the sixteen books reviewed on Bob on Books during August beyond the summaries below. They range the gamut from biographies of Mickey Mantle, Ben Franklin’s son, and Guinness, both the family and the beer. I reviewed a murder mystery, Dwight Eisenhower’s farewell address and last days in office, the story of the original Skunk Works outfit, and nature writing following the steps of several of Wisconsin’s naturalists and nature writers. I discovered that you can summarize all the world’s songs in six categories. There is the usual collection of books on theology and ministry, highlighted for me with a fine book on beauty and truth, and a thought-provoking memoir of a celibate gay Christian. Best Book of the Month: I appreciated Greg Cole’s memoir Single, Gay, Christian as an honest and vulnerable book, one marked by conviction without stridency and the hope that we can find a “new side” beyond the two “sides” that have for so long defined, at least in Christian circles, our discussions around LGBT issues. What I’m Reading: I’ve just finished and will be reviewing a short piece by Sandra Van Opstal titled The Mission of Worship that explores the integral relation between our worship and our mission in the world. I’ve just started a short piece by J.I. Packer titled Finishing Our Course with Joy, on how Christians might live their later years well. Evicted is a sobering book, and not a fun read, but eye-opening about the problems that many poor people face with substandard housing, landlords, and the cycle of hopelessness that often begins with an eviction, that makes housing even more difficult to find, and often compounds financial woes. Paradoxology by Krish Kandiah explores that it is often within the paradoxes of biblical narrative that we discover the depths and reality of Christian faith beyond platitudes and perplexities. I’m also working my way through a classic piece of fantasy, The Worm Ouroboros by E. R. Eddison that first came to light with the popularity of Tolkien’s Lord of the Rings. It’s a story of war and quest written in an Elizabethan style, hence the extra work. Our Dead Theologians group has just began Catholic social activist Dorothy Day’s autobiography, The Long Loneliness. So that’s what I’ve been reading. The links at the end of the summaries will take you to the full reviews. Hope you find something interesting. And if you do, and think of it, tell me something interesting you’ve read recently. 1. Minds, Brains, Souls, and Gods by Malcolm Jeeves. 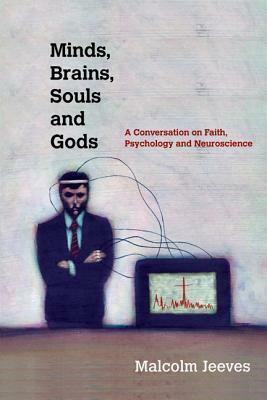 Probably the oldest book on the pile with a 2013 publication date but dealing with a number of the current issues in neuroscience research and the implications of this for what we believe about what it means for us to be human and even the implications of claims for a “God spot” in the brain for our belief in God. 2. 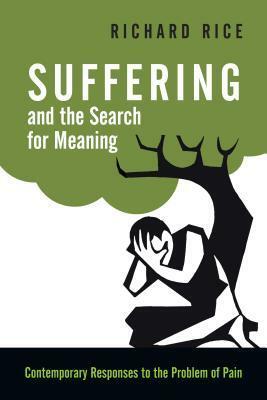 Suffering and the Search for Meaning by Richard Rice. I’m part way into this book on six different ways Christians deal with suffering, the problem of evil and God. Very clear, with numerous personal stories and yet good theological and philosophical depth. 3. College Disrupted by Ryan Craig. 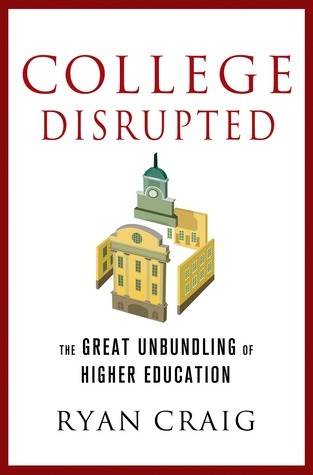 This book deals with the rising costs of college education and the ways college education is becoming “unbundled” to deal with these costs through MOOCs, other forms of online education, and cobbling together degrees through courses from various institutions. 4. 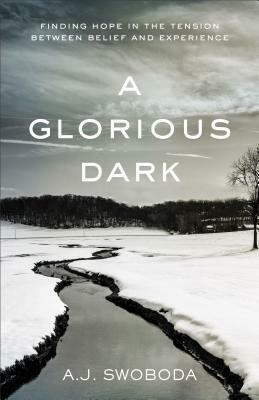 A Glorious Dark by A.J. Swoboda. This book is described as dealing with the tension we often experience between what we believe and what we experience. 5. 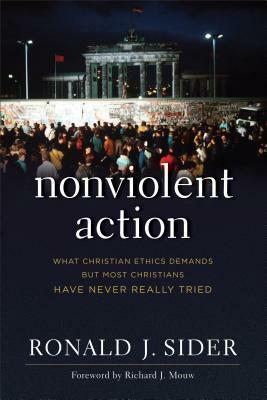 Nonviolent Action by Ronald J. Sider. Sider explores the common ground between just war and pacifism theorists on the ethical requirements upon Christians to pursue where possible nonviolent solutions to conflict. 6. 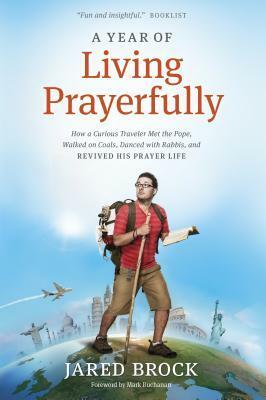 A Year of Living Prayerfully by Jared Brock. Brock is a young activist who spent a year on a global “pilgrimage of prayer”. This book is his account of that journey. 7. 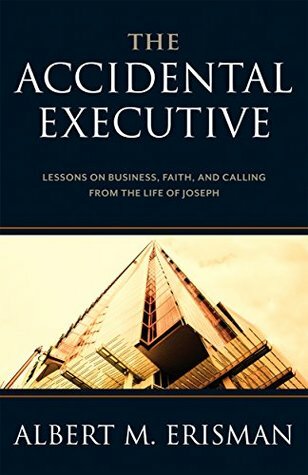 The Accidental Executive by Albert M. Erisman. The book’s subtitle is “lessons on business, faith, and calling from the life of Joseph”. Erisman is a former Boeing executive. These aren’t the only books I anticipate reading but are some of the new (or newer) titles you can anticipate on the blog! I realize that all of this is non-fiction. If any of you have suggestions of quality fiction you think I should read, I’d be glad to hear from you! If you want to be sure to catch the reviews of these and other books as well as other thoughts on books, reading, and life, I hope you will consider following the blog. If you have a WordPress account, just click the “follow” section of the black header. If you do not, just click the blue “Follow” button that appears near the top of my pages and WordPress will send you email previews of my blog posts. Yesterday, I wrote about unfinished books. But it occurs to me that one of the best ways to finish a book is to make good decisions about which books to start in the first place. Particularly, this is an important question if you are buying the book. How does one figure out what to read in the first place? A few thoughts, and I’d be glad to hear how other readers think about this. 1. Many e-books will allow you to download a preview for free. This is usually just the first chapter and no guarantee that the rest of the book will be as good or better. This is “try before you buy.” This is a good idea if the author, or genre is new to you. 2. Of course, another way to try before you buy is to borrow the book from the library, physically or electronically. It is always a greater disappointment to put down a book you’ve paid good money for. 3. Generally, books you find in the bargain bins are more likely to be ones you will lay down. They are usually there for a good reason! But there are always those wonderful exceptions. Generally, if a book is selling at or close to retail (unless you are buying it secondhand) that’s an indicator that sales are such that they aren’t trying to unload surplus stock. 4. Are you entering a particularly hectic season of life? If you think you will have to lay a book down unread and then have a hard time picking up the train of thought without re-starting the book, you might do just as well to wait until a time when you can read your way through the book without long interruptions. 5. Why are you interested in reading this book in the first place? If it is simply because everyone is reading this book, or you liked the cover, you might take time exploring the table of contents a bit further or ask yourself, “am I really interested in the history of the American Whig Party?” (my family will get this one!).
. Different seasons of life call for different books. I might really enjoy a spy thriller or a mystery at the beach or at an airport. I might take an interesting biography or a more serious novel for quiet evenings on a fall getaway. Cold winters’ nights might be a good time to wade through that multi-volume history of the Civil War. The early hours of the day are best for me to read thoughtful books on faith-related subjects. The beginning of spring training or World Series season is always a signal to me to read a good baseball book. 7. I have friends (and some reviewers) whose reading tastes seem close to mine. If they’ve liked a book that I think I’d be interested in, then I feel more assured in picking it up and starting it. Of course, not all the things my friends are interested in are the same as my interests! Those are a few thoughts. It is not a sin to put down a book. Sometimes we will start out on a book when we are just not ready for it. I’ve come back to books years later that I’ve put down and found that for whatever reason, I’m now ready to read them. And if we gain insight into our book choices through the books we lay down as well as the books we finish, that is valuable. How do you decide when to buy or read a book?